This blog post is first in a series describing the Great Khan Academy Python Refactor of 2017 And Also 2018. In this post, I'll explain where our codebase went wrong, what we wanted to do to fix it, and why it was so difficult. It will include tips and code that others can use to avoid some of this difficulty themselves. The second post will describe Slicker, a tool we wrote which formed the backbone of our refactoring effort. The third post will describe how we used this refactoring as an opportunity to reduce inter-file dependencies within our codebase, and how that benefited us. Khan 学院的系列文章, 谈及 Python 开发中常见的一些问题和解决. 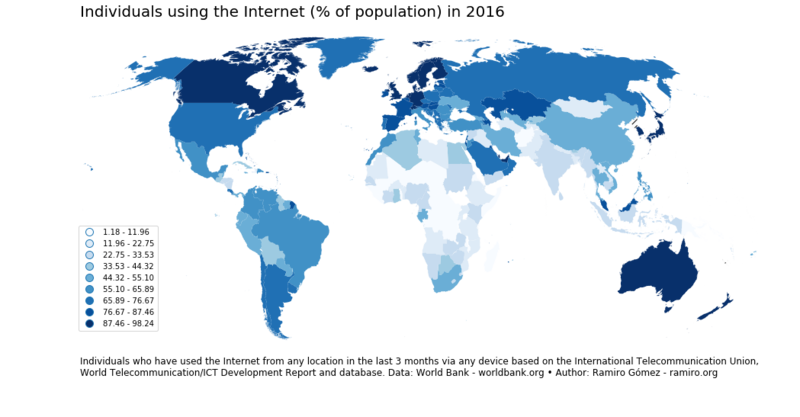 There are different ways of creating choropleth maps in Python. In a previous notebook, I showed how you can use the Basemap library to accomplish this. More than 2 years have passed since publication and the available tools have evolved a lot. In this notebook I use the GeoPandas library to create a choropleth map. As you'll see the code is more concise and easier to follow along. 用 matplotlib 来嗯哼, 其实有很多专门的图形库, 可以更加简洁的完成这种绘制了. Class Based Views (CBV) is one of my favourite things about Django. During my first Django projects (using Django 1.4 around 6 years ago) I was mainly using functional views — that’s what the tutorial recommended then anyway. However, slowly in my next projects I started reducing the amount of functional views and embracing CBVs, slowly understanding their usage and usefulness. Right now, I more or less only use CBVs for my views; even if sometimes it seems more work to use a CBV instead of a functional one I know that sometime in the future I’d be glad that I did it since I’ll want to re-use some view functionality and CBVs are more or less the only way to have DRY views in Django. An opensource DIY self driving platform for small scale cars. RC CAR + Raspberry Pi + Python (tornado, keras, tensorflow, opencv,. 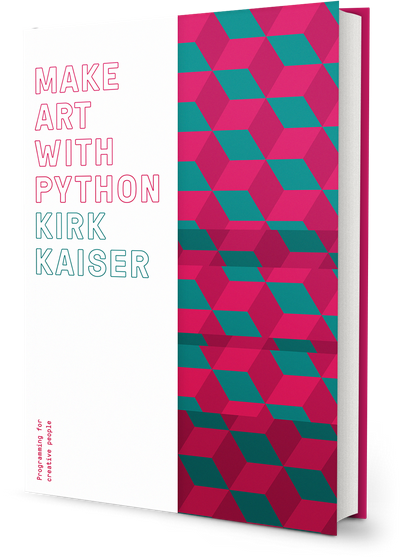 A book to bring the joy of programming to creative people. With step by step instructions for beginners and tiny programs, fundamental programming concepts are introduced in bite sized sketches. In later chapters, these program sketches become powerful drawing programs, capable of generating new images for 3D printing, CNC, and more. marshmallow-code/marshmallow: A lightweight library for converting complex objects to and from simple Python datatypes. Twitter is a good ressource to collect data. We can find a few libraries (R or Python) which allow you to build your own dataset with the data generated by Twitter. This tutorial is focus on the preparation of the data and no on the collect. Throughout this analysis we are going to see how to work with the twitter’s data. A best practice when creating Docker containers is keeping the image size to a minimum. The fewer bytes you have to shunt over the network or store on disk, the better. Keeping the size down generally means it is faster to build and deploy your container. Google Analytics is an incredibly powerful tool. All of the members of your team can see everything from which sources your web traffic comes from to what demographics frequent your site. There’s just one problem, Nobody is willing to go to the Google Analytics site and look. If these features aren’t used they may as well not exist. So, to give teammates easier access you can make a custom Slackbot to display Google Analytics. Enhancing ordinary IP cameras with AI, MQTT. Visual Question Answering Project with state of the art single Model performance. 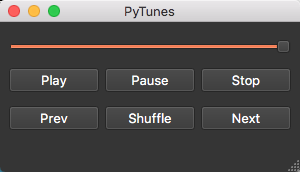 Zed's Awesome Debug Macros for Python. ProxyDock is a Dockerfile and Bash script that converts your OpenVPN files into local proxies. 180325 Zoom.Quiet 用时 7 分钟完成格式化.